The story of the fourth-generation Ford Mustang is really that of three separate cars – the 1979 Mustang, the 1989 Probe, and, ultimately, the 1994 Mustang. The three cars and programs spanning the better part of two decades encompass the seismic shifts in the automobile market during that tumultuous era. 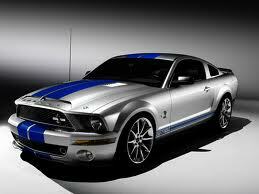 so this thoroughly modern â€œFoxâ€� Mustang delivered on all fronts. change. Too much money had been spent to abandon the program entirely. the purest way to decide the future of the Mustang. strategy that created it and lead to end the rear-wheel-drive platform. retrospective and futuristic design elements. that would have been right at home next to the Probe in the showroom. the end of 1990 while the RWD concept moved forward. existing Fox chassis - dubbed Fox-4 - was approved. emblem, tri-bar taillights and a dual-cockpit cabin. mild to wild - Bruce Jenner, Arnold Schwarzenegger and Rambo. would eventually debut on the DN101 Taurus in 1996.
fastback shape, strong shoulder lines and sculpted fender wells. 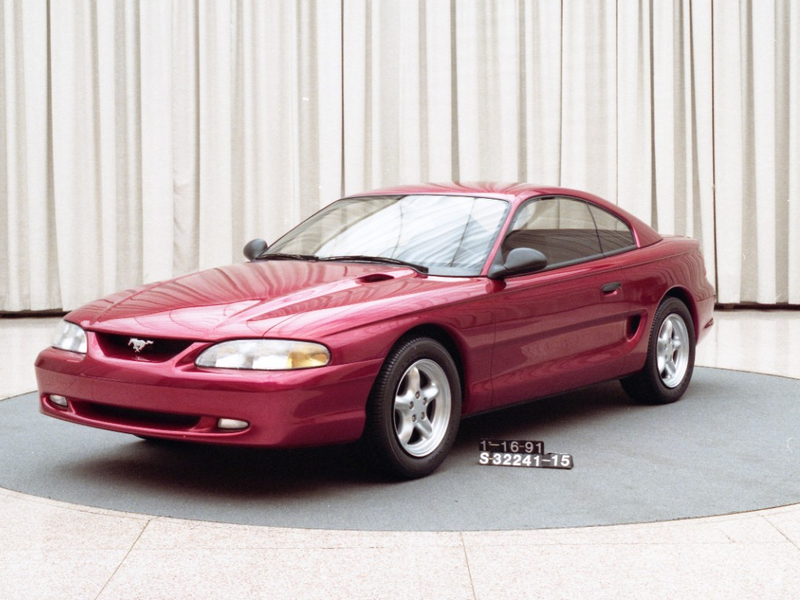 theme was selected as the basis for the 1994 Mustang. of the car, but was dismissed due to cost issues. SVT Cobra and the ultimate iteration in the track-bred Mustang Cobra R.